The quake hit around 100 kilometres (60 miles) off the island of Penghu in the Taiwan Strait on Monday morning, at a depth of 13 kilometres. There were no immediate reports of casualties or damage from the quake, which the USGS had initially reported at 5.6-magnitude. Residents in the city of Magong on Penghu island ran outside screaming “earthquake” after the tremor hit, Taiwan media reported. Hong Kong residents reported feeling the quake, and some took to social media to discuss the rare event. “I did [feel it]! I thought I was dizzy, I saw the clothes that were hung up swaying around,” wrote one Facebook user in a discussion group for Hong Kong’s Tai Po district. 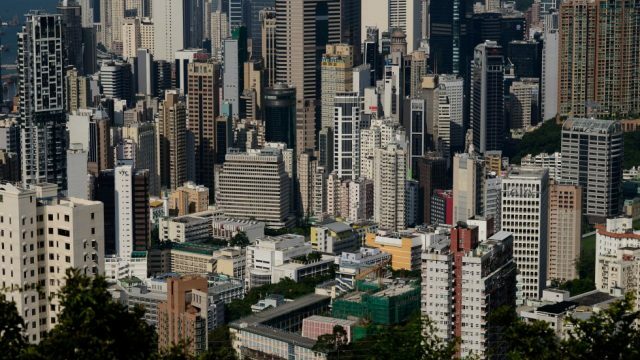 The Hong Kong Observatory said it had received nearly 1,000 reports of the the quake being felt, with a duration of a few seconds. “Initial estimate gave a local intensity of IV (four) on the Modified Mercalli Intensity Scale, that is hanging objects swing. Windows, dishes, doors rattle,” it said in a statement. Taiwan lies near the junction of two tectonic plates and is regularly hit by earthquakes. In February, its eastern Hualien city was hit by a 6.4-magnitude earthquake which killed 17 people. The island’s worst such disaster in recent decades was a 7.6-magnitude quake in September 1999 that killed around 2,400 people.